There are a record 7.1 million job openings in the economy. Wages and salaries were up 2.9 percent in the 12 months through September, according to data released Wednesday by the Department of Labor. That's the biggest increase since September 2008. 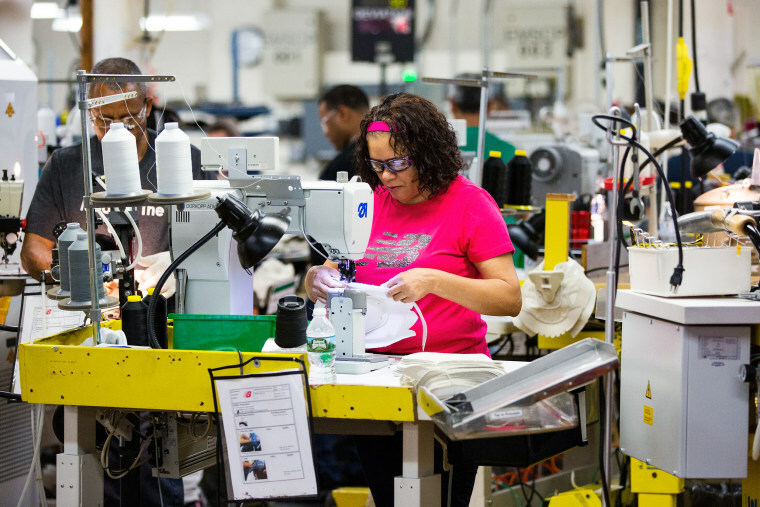 Wages have been a sticking point in the nation's economic recovery, rising at a sluggish pace despite robust growth in other economic metrics such as employment and participation in the labor force. Wages, which account for 70 percent of employment costs, jumped 0.9 percent in the third quarter after climbing 0.5 percent in the prior period. A tightening labor market is steadily pushing up wage growth. The jobs market is viewed as being close to or at full employment, with the unemployment rate at a near 49-year low of 3.7 percent. There are a record 7.1 million job openings in the economy. The Employment Cost Index, the broadest measure of labor costs, increased 0.8 percent in the third quarter, the Labor Department said. The ECI is widely viewed by policymakers and economists as a reliable predictor of core inflation. The Federal Reserve increased interest rates in September for the third time this year and removed a reference to monetary policy remaining "accommodative" from its policy statement.